Mohammad K. Azarian, Ph. D.
Mohammad K. Azarian received his Ph. D. in mathematics from Saint Louis University in 1985. Since then, Dr. Azarian has been at the University of Evansville where he is presently a professor of mathematics and a 2007-2008 U of E Global Scholar. Professor Azarian is the recipient of the 2017 Mathematical Association of America-Indiana Distinguished Service Award. The award recognizes a member for “extraordinary contributions … and outstanding efforts" to mathematical sciences in America. He served on the Executive Board of the Indiana Section of Mathematical Association of America (2001-2007), where he was responsible for the Indiana College Mathematics Competition and all other student activities in Indiana. Professor Azarian is currently a Discipline Peer Reviewer for the Fulbright Scholar Program, sponsored by the United States Department of State's Bureau of Educational and Cultural Affairs. He is also a reviewer for the American Mathematical Society’s Mathematical Reviews (MathSciNet). 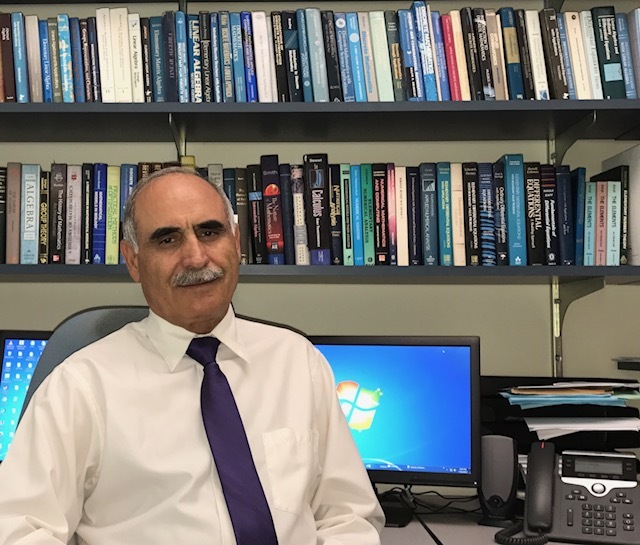 Dr. Azarian is on the Editorial Board of National Association of Mathematicians' Newsletter, The Mathematics Interdisciplinary Research, and The Iranian Journal of Mathematical Sciences and Informatics. He has served on the Editorial Board of International Journal of Modern Mathematics and International Journal of Science and Technology. He serves as a referee for Houston Journal of Mathematics, International Journal of Mathematics and Mathematical Sciences, Missouri Journal of Mathematical Sciences, College Mathematics Journal, Ars Combinatoria, and Journal of Integer Sequences. Professor Azarian is a contributing editor for Dictionary of Algebra, Arithmetic, and Trigonometry.